Please be informed that the application record videos by front or rear device’s camera and doesn’t record screen video. 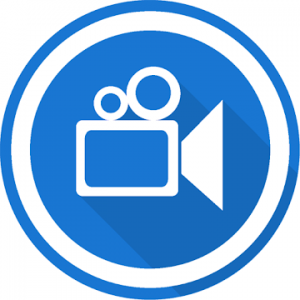 Record your videos silently and easy at any moment you desire. – storing recorded files on external storage (micro sd). There are 2 icon for the application.One of them just for one click start/stop recording another one for menu navigation. Simple navigation to menu and just one click to Enable over button or over menu. The application is designed for a wide range of mobile devices with the simplification of exterior styling and additional settings. Recording is activated by the user and then stop recording at any desired moment. Possibility to schedule your video recording.Just add time to activate action in seconds. There is possibility to define duration of recorded video. You can disable notification if you desired silent recording without any notification (except system notifications). You can enable/disable camera shutter sound if you desired silent recording without any sound of camera shutter. You will be able to select resolution of recorded video (please be informed that resolution depends of camera’s supported features). Technical options are simplified to a minimum, but can be modified in the future at a certain number of users desires. There are necessary options for recording phone conversations while video recording if it’s support by device (due to technical limitation of some device models). Opportunity of using to non rooted devices. -Video recording from Front face camera might be mirrored due to technical limitations on some devices. You can rotate image on the video player more easily. -Camera shutter sound might be not disabled due to system sounds restriction of vendor on some devices.